Notice the 3 pack with only 2 packs in it? Someone much have got the munchies for cheese while going round Coles. Or it just packed up and left itself. 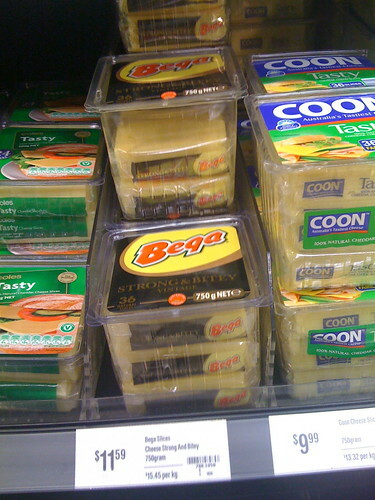 This entry was posted in Photos, Shopping and tagged Bega, Cheese, Coles, photo, Shopping. Bookmark the permalink.